JOHN MOLLOY GALLERY is pleased to present SURFACING, an exhibition of new mixed-media encaustic paintings by MELISSA RUBIN. The ancient art of encaustic painting, i.e. painting with pigmented wax, has seen a renaissance in the last twenty years. With her work in numerous exhibitions in the last few years, Melissa Rubin has emerged as a leader in this field. Ms. Rubin is a recent recepient of grants from the Pollock-Krssner Foundation and the New York Foundation for the Arts. Her work has been featured in ARTnews, CBS This Morning and Encaustic Art Magazine. Her paintings have recently been in exhibitions at the Museum of the City of New York and the Rockaway Artist Alliance. For many years, she taught art at the Little Red Schoolhouse in Greenwich Village. This is her first solo exhibition in New York City. This exhibition reflects the artist’s experience of living and working in the post-Hurricane Sandy world of Rockaway Beach where the beauty and light remains informed by the loss and destruction of the storm. 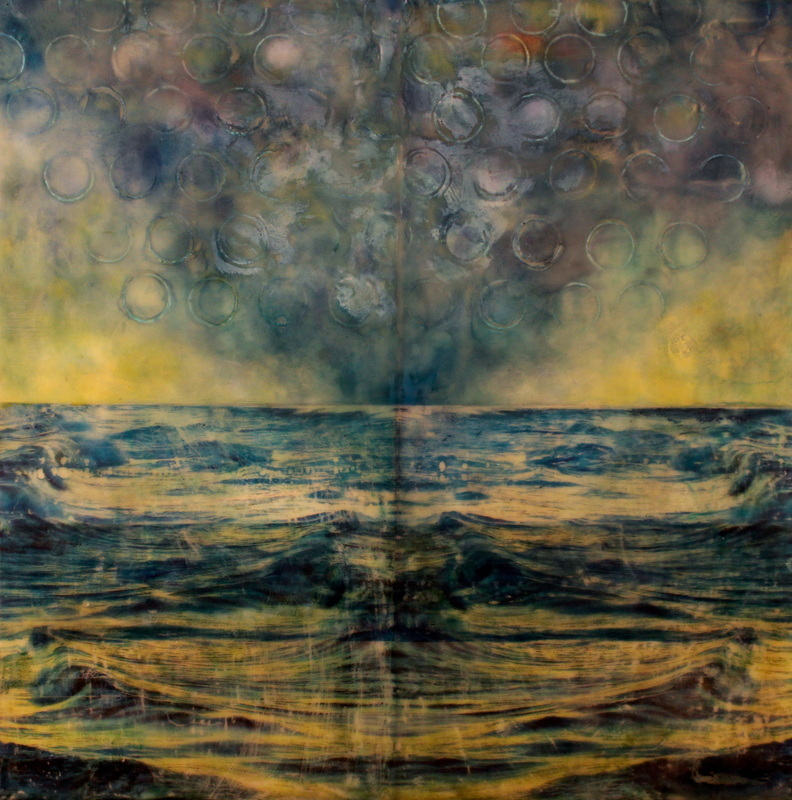 Her use of encaustic allows her to add a dimensionality to the mixed-media process which invites the viewer to enter a multi-layered world in a two-dimensional format. A full 38 page catalogue with a forward by Ingrid Dinter will be available in both book and digital format.